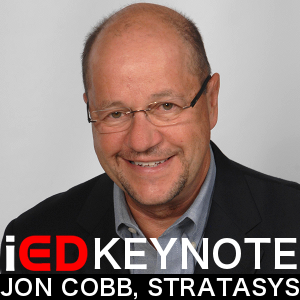 Building on the success of the previous 9 years of Immersive Education (iED) conferences, the world's leading experts in immersion convene September 7-10 in Paris for IMMERSION 2015. Hosted by Paris-Sorbonne University ("the Sorbonne") in collaboration with the Smithsonian Institution and the global Immersive Education Initiative, IMMERSION 2015 has a special focus on Arts & Culture, immersive teaching and immersive learning. 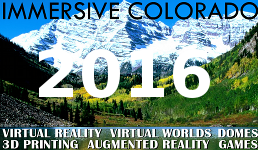 IMMERSION 2015 addresses the personal and cultural impact of immersive technologies such as Virtual Reality (e.g., Oculus Rift, Samsung Gear VR, Google Cardboard), augmented reality (AR), holograms and holography (e.g., Microsoft HoloLens), wearable computing (e.g., Google Glass, Samsung Gear, Apple Watch), mechanical and neural brain interfaces, cybernetics, affective computing (systems that can recognize, interpret, process, and simulate human feelings and emotions), neuro-gaming technologies that are used to create adaptive and radically compelling game experiences, 3D printing, personal robotics, telepresence, virtual worlds, simulations, game-based learning and training systems, and fully immersive environments such as caves and domes. As a special event that is open to the public, the first two days of IMMERSION 2015 will feature general-interest keynote addresses, talks, panel discussions and exhibits. The event concludes with hands-on workshops and a 2 day technical (research) conference specifically for researchers, academics, teachers and corporate trainers. For only the second time since its inception the global iED Summit features an exciting new module-based conference format and price structure. The IMMERSION 2015 modules are: The Age of Immersion, Arts & Culture, Forms and Functions of Immersion, Bringing the Past to Life, Immersive Education and Business & Law. Join us Monday morning as we officially kick off IMMERSION 2015 in Paris, France! 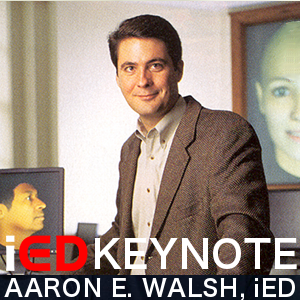 Aaron E. Walsh, founding director of the Immersive Education Initiative and Boston College faculty, will deliver the opening keynote address at IMMERSION 2015. Walsh, a world-renowned expert in immersion and immersive technologies, coined the terms "Immersive Education" and "Immersive Illness" and established the field of Immersive Education. Named one of the most innovative people in the Information Technology (IT) industry by Computerworld, the premier source of news and analysis for the IT industry, Walsh has been featured in a number of leading technology and mainstream publications, including Newsweek and Newsweek International. He has been featured by Entrepreneur magazine, CBS Interactive's business technology news service, and was recently interviewed by Larry King about the staggering applications of 3D printing and the technology's potential to change the world -- for better and worse. Disney, Google, Smithsonian, and the United States Department of the Interior (DOI) National Parks Service keynotes, featured speakers and workshops at IMMERSION 2015 compliment Walsh's opening address. This module concludes with a panel discussion and audience Q&A (Question and Answer period) about the personal and cultural impact of being immersed as we enter the Age of Immersion. 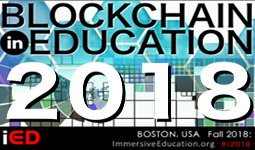 Following this module IMMERSION 2015 attendees will have an opportunity to meet and talk with the keynote speakers, featured speakers and panelists during the hands-on exhibits period. NEARLY 100 Presentations, Workshops, Papers, Posters, Demos & Exhibits! The theme for Monday afternoon is Arts and Culture in the Age of Immersion. This module examines the impact that immersion and immersive technologies increasingly have on art and human culture while highlighting a number of contemporary and future immersive arts and culture projects, installations and movies. The Smithsonian Institution's Melissa Carrillo and Disney's Katie Fico open this module by co-deliver a dynamic The Art & Culture of Storytelling keynote that draws on their respective and extensive expertise in immersive arts, culture and entertainment. As Director of New Media and Technology at the The Smithsonian Latino Center, Carrillo is a pioneer in the field of immersive arts and culture. She spearheaded The Smithsonian Latino Virtual Museum (LVM), a cross-platform collection of immersive experiences that utilize bilingual mixed media technology to enhance the visitor's knowledge, understanding and appreciation of Latino Cultural Heritage. As Stereoscopic Supervisor at Walt Disney Animation Studios, Fico is responsible for leading her team at Disney to create unique and deeply compelling immersive experiences using stereoscopic 3D technology. Recently awarded with "Best Stereographer" and "Best Stereo" by the International 3D Society for her work on Frozen, Fico has worked on a number of feature films during her career at Walt Disney Animation Studios, including the Academy Award®-winning animated film Frozen, Big Hero 6, Dinosaur, Chicken Little, Meet the Robinsons, Bolt, Tangled, and Paperman. 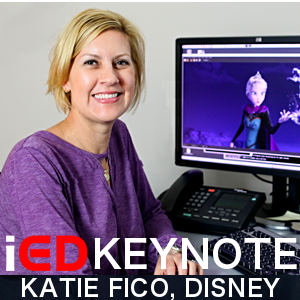 Katie will join us in Paris via video teleconference from Walt Disney Animation Studios in Los Angeles, California. After the opening keynote, featured speakers from the National Parks Service (NPS) division of the United States Department of the Interior (DOI) and the University of Arizona will share their unique perspectives on arts and culture in the Age of Immersion. This module concludes with a panel discussion and audience Q&A (Question and Answer period) about arts and culture in the Age of Immersion. The theme for Tuesday morning is Inside the Forms & Functions of Immersion and Immersive Technology. Immersive technologies are rapidly—and profoundly—changing how we experience movies and television, play with video games and toys, listen to music, attend live events, teach and learn, and interact with the world around us. 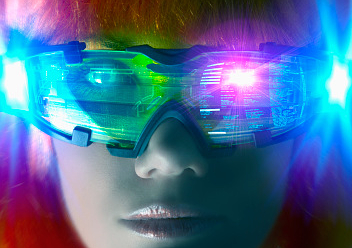 Head-mounted Virtual Reality (VR), fully immersive VR environments (such as caves and domes), virtual worlds, augmented and mixed reality, sensors and 3D Printing are among the immersive technologies that are radically reshaping our world. The Forms and Functions of Immersion module explores a power and potential of immersive technologies while examining their unique capabilities and often dramatic differences. Google's Caskey L. Dickson will deliver the opening keynote, Google Virtual Realtiy — Cardboard VR and Beyond, shedding light on Google's past, recent and future activities in the immersive space. 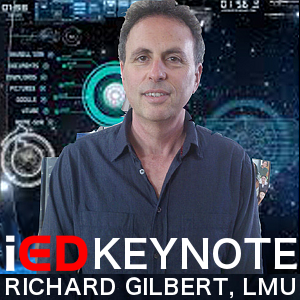 Following Dickson's opening keynote, a number of featured speakers will discuss specific forms of immersion and immersive technologies that are fundamentally changing the relationship that humans have and the world we live in. 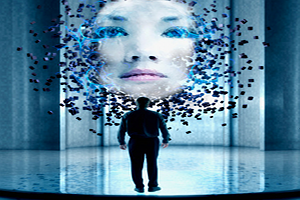 This module concludes with a panel discussion and audience Q&A (Question and Answer period) about the forms and functions of immersion and immersive technologies as we step into the Age of Immersion. Following this module IMMERSION 2015 attendees will have an opportunity to meet and talk with the keynote speaker, featured speakers and panelists during the hands-on exhibits period. from the Past. What's the Future? The theme for Tuesday afternoon is Bringing the Past to Life in the Age of Immersion. As we enter the Age of Immersion mankind has, for the first time ever in human history, the tools and technologies necessary to preserve our past in a way that is utterly compelling, deeply immersive, and soon — indistinguishable from reality. Bryan Carter, Professor of Africana Studies at the University of Arizona, opens the Preserving the Past module with his keynote Virtual Harlem : Immersive History in the Making. 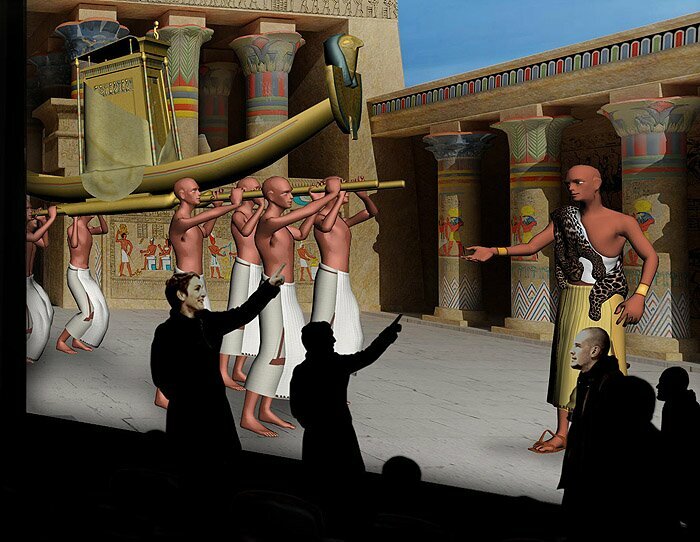 Virtual Harlem is a collaborative learning network whose purpose is to study the Harlem Renaissance, an important period in African American literary history, through the construction of immersive Virtual Reality and virtual world environments that represents Harlem, New York, as it existed between the 1920-30s. 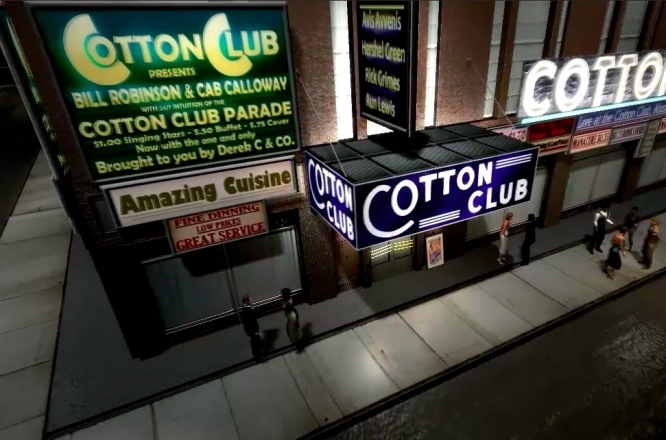 Virtual Harlem preserve iconic historical sites such as the Cotton Club, the Apollo Theater, Marshalls Hotel, museums, art galleries and the Harlem Branch Library. In addition to these famous locations, there are also interactive elements, collaborative possibilities, music of the period and opportunities for students to create projects related to the period and to role play. 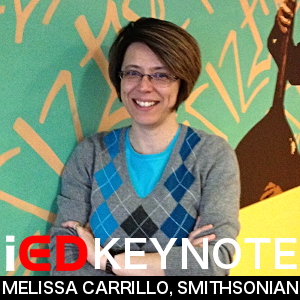 Following Carter's opening keynote the Smithsonian Institution's Melissa Carrillo will provide attendees with an exclusive "insider's look" at the Smithsonian Latino Virtual Museum (LVM)'s immersive Day of the Dead (Día de Los Muertos) environments. Día de los Muertos is a day of celebration for the people of Latin America, particularly in Mexico and Central America, and more recently for Mexican Americans. Rather than grieve over the loss of a beloved family or friend, they choose to commemorate the lives of the dearly departed and welcome the return of their spirits. The history of Day of the Dead is embedded with Pre-Hispanic and Spanish customs. These customs shaped the common elements of traditional Mexican Dia de los Muertos. In the closing talks Featured Speakers Bill Gwaltney and Meagan Hotchkiss-Trejo present an overview of Immersive Bent's Old Fort from both the "Living History" perspective and immersive technology perspective. On November 19, 2014, the Immersive Education Initiative announced that Bent's Old Fort, a unit of the United States Department of the Interior (DOI) National Parks Service (NPS) located on the Santa Fe Trail in Colorado's Otero County, would be reconstructed virtually in the video game Minecraft and also as a fully immersive 3D virtual reality (VR) environment. When complete Immersive Bent's Old Fort, along with corresponding history curricula and teaching materials, will be available free of charge to the general public and to schools around the world. Known as the "Castle of the Plains," Bent's Old Fort was a 1830s - 1840s adobe fur trading post on the mountain branch of the Santa Fe Trail where traders, trappers, travelers, and the Cheyenne and Arapaho tribes came together in peaceful terms for trade. A unique center of cultural exchange at the time no less than seven different languages were spoken at the fort including English, Spanish, French, and numerous American Indian languages. Today, living historians recreate the sights, sounds, and atmosphere of the past with guided tours, demonstrations and special events. Bent's Old Fort served as an instrument of Manifest Destiny and a catalyst for change in the United States. The fort's influence with the Plains Indians and its political and social connections in Santa Fe helped pave the way for the U.S. occupation of the West and the annexation of Mexico's northern province during the U.S.-Mexican War. Along with El Camino Real, the Santa Fe Trail was part of a trade network linking Europe, New York, and St. Louis with Santa Fe and Mexico City. Opened in 1821, the Santa Fe Trail followed old trade routes established by American Indians that were later used by Spanish, Mexican and American troops, traders and other travelers. This module concludes with a panel discussion and audience Q&A (Question and Answer period) about preserving human history and bringing the past to life in the Age of Immersion. The theme for Wednesday morning is Teaching and Learning in the Age of Immersion. This module addresses the impact of immersive technologies in the field of education, with an emphasis on immersive teaching and immersive learning. 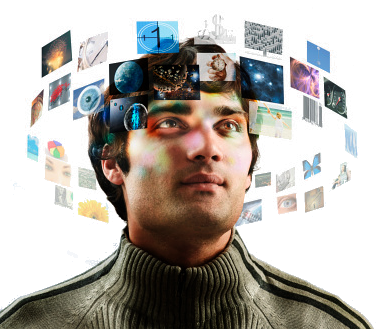 Virtual reality (VR), virtual worlds, learning games, simulations, augmented reality (AR), mixed reality (MXR), full immersion (such as fully immersive caves and domes) and 3D Printing. This module will consider how immersive digital technologies impact the traditional role of the teacher, and it will also address the controversial possibility of "learner-driven, teacher-less" learning in some spheres of the educational system. An international best-selling author and award-winning speaker, Walsh has received numerous awards for pioneering the field of immersive teaching and learning. His work has led to worldwide awareness and adoption of immersive technologies, both in and out of the classroom. Walsh is recognized as one the 40 Most Innovative People in Information Technology (Computerworld Award) and is a recipient of the Innovator's Award (Campus Technology) and Teaching With New Media Award (Boston College). Following the keynote address, featured speakers from Stanford University, UCLA (University of California, Los Angeles), and Wooranna Park Primary School will provide IMMERSION 2015 attendees with their expert insights and experiences with Immersive Education in higher education and primary education. This module concludes with a panel discussion and audience Q&A (Question and Answer period) about teaching and learning in the Age of Immersion. DEMO: 3D Language Learning — Live your Language! Join the experts, meet new colleagues and make new friends from around the world during this unique social and networking lunch event. As you dine and socialize you'll have the unique opportunity to experience a wide variety of immersive experiences. For details visit the Sponsors and Exhibitors page and look for exhibits, workshops and demos that are featured in "Immersive Meal" social lunch events. The theme for Thursday morning is Protecting and Preserving Ideas and Content in the Age of Immersion. The Smithsonian Institution's Alyssa Reiner opens this module with her keynote Copyright Considerations for a Digital World. An expert in copyright law, Reiner's legal expertise includes: new media; publishing; video/multi-media production and distribution; music recording, distribution, and licensing; web, software, mobile app, game, and interactive design and development. Following the opening keynote, Craig R. Smith will present Patents and Intellectual Property Rights in the Age of Immersion. A partner at Lando & Anastasi LLP, a Boston-based law firm specializing in patent and Intellectual Property (IP) law, Smith leads one of the most experienced, respected, largest, and fastest growing IP legal teams in New England. Mr. Smith's clients include Massachusetts Institute of Technology (MIT), Bose Corporation, Foursquare Labs, and Tumblr. After Reiner and Smith address the protection of Intellectual Property, Isabel Meyer will provide attendees with her expert view on preserving digital content in the Age of Immersion. As Digital Asset Management System (DAMS) Branch Manager for the Smithsonian's Office of the Chief Information Officer (OCIO) , Meyer oversees the preservation of digital assets and content for the Smithsonian Institution. The Smithsonian's Office of the Chief Information Officer (OCIO) plans and directs the development, implementation, maintenance, enhancement, and operation of the Smithsonian Institution's information technology (IT) systems. In addition, it operates the Smithsonian Institution's computer facilities, equipment, web infrastructure, web hosting services, telecommunications, and networks. OCIO also provides management oversight of decentralized IT implementations by Smithsonian museums and units. "Creative thinking is required in both organizations and people. The current military and industrial operating environment has become extremely complex. For example, in some cases there are complex, unpredictable, and undefined tasks, and there is no acceptable solution that one has been trained for. Thus one must invent or create a solution (creative thinking) and monitor its progress. Creative thinking was long considered domain-general, e.g., Torrance Test of Creative Thinking. We investigated the role of creative thinking using this measure in the Multi-Mission Team Trainer (MMTT) environments. This simulation trains and assesses Navy Surface Warfare Officers in offensive and defensive tactics, thus the context can be conceptualized as a collaborative problem solving task. We found some support for the impact of the simulation on creative thinking. However, the effect size was very small. Our current creative thinking research is building on our prior work in the Multi-Mission Team Trainer and new measures have been designed to assess domain-specific creative thinking in a team trainer immersive maintenance simulation. 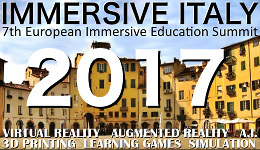 We will present the results of a usability study and provide lessons learned for immersion simulation." Following this module the speakers will conduct a series of special "Focus Workshops" during which attendees will have the opportunity to examine these subjects and issues in greater depth. This module concludes with a panel discussion and audience Q&A (Question and Answer period) about protecting and preserving Intellectual Property (IP) and digital content in Age of Immersion.